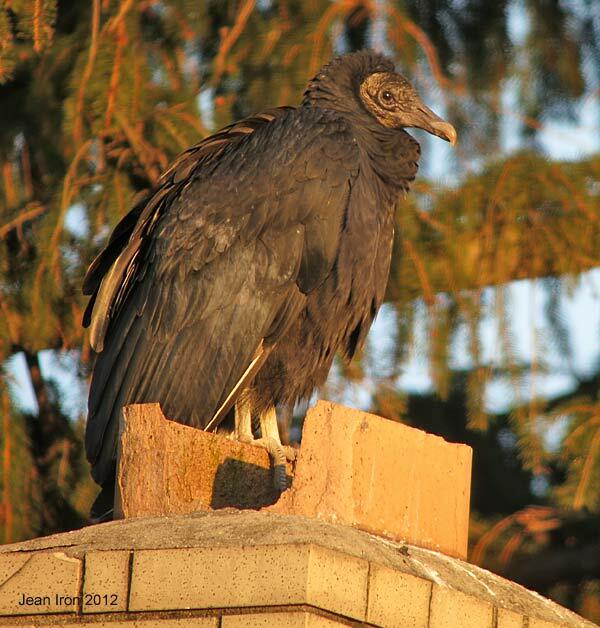 Standing on house chimneys to keep warm, Black Vultures are overwintering in a residential neighbourhood in Lewiston, New York. Up to six Black Vultures are in this roost with Turkey Vultures. Willie D'Anna first found the roost in late December after watching the vultures from the Ontario side of the Niagara River. Photo 11 January 2012. 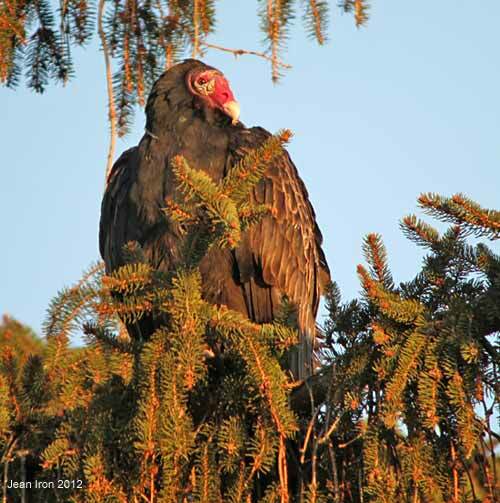 The nearby dump, a safe roosting site, and warm air venting from the chimney are a winning combination for Black Vultures to overwinter successfully this far north. The spruces behind the houses also provide shelter. Photo 11 January 2012. About 10 Turkey Vultures share the roost with Black Vultures. 11 January 2012.